3 Bedroom House For Sale in Rotherham for Offers Over £300,000. FEATURED IN THE BIG OPEN HOUSE please call for viewing arrangements. UNIQUE PROPERTY WITH CHARM AND CHARACTER! CONSERVATORY! Generously proportioned, highly versitile, extensive garden and driveway. NO CHAIN! 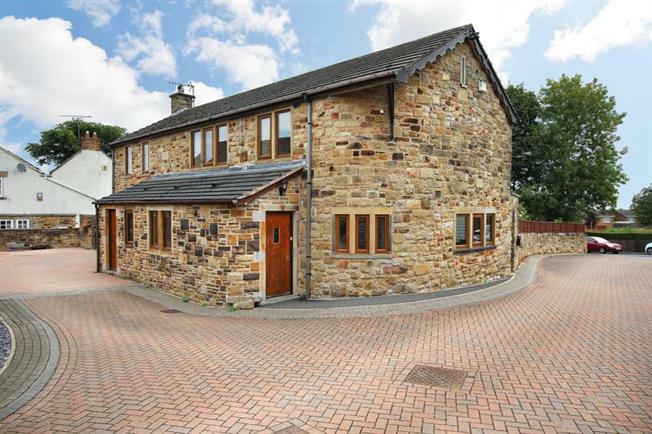 A rare opportunity has arisen to purchase this stone built detached family home. Offered for sale with no chain involved and would benefit from a scheme of upgrading internally. The family home offers versatile living and is situated in this sought after location. This three / four bedroom home gives access to public transport links. Early viewing is a must and in brief the property comprises of hallway with stairs to first floor landing, utility room / office, reception room two / bedroom four with built in warbrobes and w.c. Dining kitchen with a range of fitted wall and base units, lounge with feature fire place and patio doors to conservatory. First floor landing three well proportioned bedrooms and family bathroom. Outside to the rear is off road parking and to the front is a larger than average enclosed garden laid to lawn with borders.